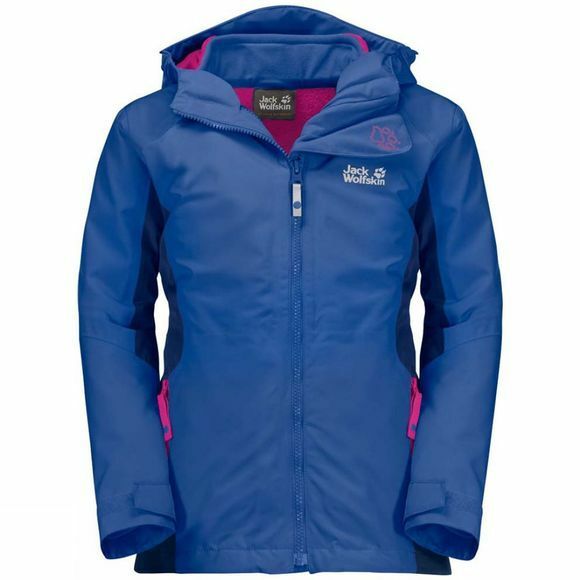 The Girls Grivla 3in1 Jacket from Jack Wolfskin was designed and developed with children for children, Because kids often know best what makes a good kid's jacket. The outer jacket is waterproof and breathable and the hood is permanently attached so it will never get lost. There's plenty of room for a scarf under the collar and also included is a fold-out chinguard that still provides protection when the zip is left open a little at the collar. 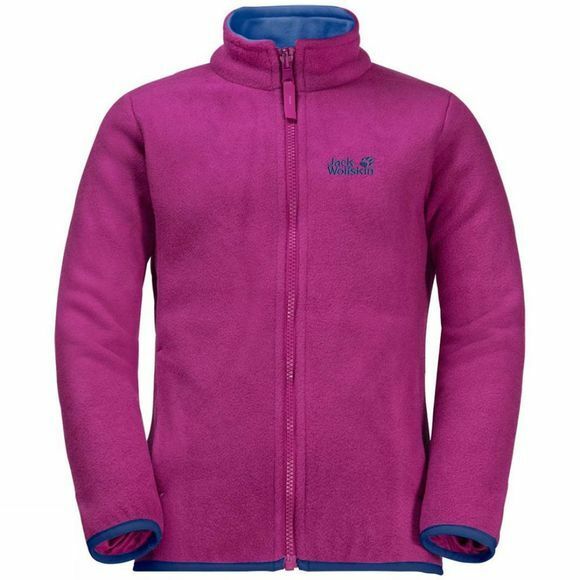 The inner jacket is a bit warmer than normal fleece, as it is made from robust bipolar fleece–perfect for long days out in icy-cold weather.